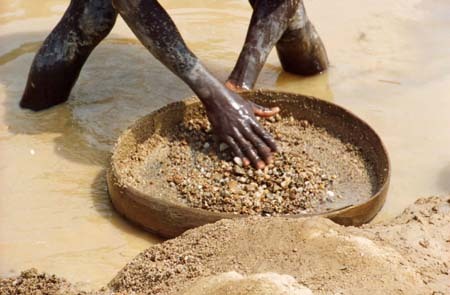 The regulation of sourcing and processing of so-called conflict minerals in high-risk countries has been on the international agenda for a number of years now, and one emerging key requirement for companies using such minerals is the establishment of sophisticated supply chain due diligence procedures in order to prevent the funding of armed conflict. Supply chain due diligence is also at the core of a legally binding rule which was recently adopted by the U.S. Securities and Exchange Commission (SEC) within the Dodd-Frank Wall Street Reform and Consumer Protection Act (Dodd-Frank-Act). This act of national legislation, which applies to both relevant U.S. and foreign companies, adds teeth to existing voluntary schemes advising companies on how to manage ‘responsible supply chains’ of critical minerals. The main purpose of all regulatory initiatives is to stop the illicit exploitation and trading of critical minerals, because the income generated thereof might be used to finance parties in armed conflicts. Such a risk exposure is increased in countries with weak governance structures, and usually involves state or non-state actors from neighboring countries too. The Democratic Republic of Congo (DRC) and the countries of the Great Lakes Region is one of the most notorious areas of concern. This first part of a two-part article focuses on the implications and general context of the SEC rule regarding § 1502 of the Dodd-Frank-Act, which was adopted on 22 August 2012. It essentially requires relevant companies to disclose the use of minerals that originated in the DRC or an adjoining country (Angola, Burundi, the Central African Republic, the Republic of Congo, Rwanda, Sudan, Tanzania, Uganda or Zambia). It should be mentioned that another related rule was adopted on the same day, concerning the disclosure of payments to U.S. and non-U.S. governments in connection with the commercial development of oil, gas, or mineral resources (§1504 DFA). Both rules were partly greeted and partly criticized by international observers and stakeholders (1). For the affected industries, the reporting requirements add to an already growing number of legal obligations facing commercial institutions (for the topic of compliance requirements see previous articles on Global Risk Affairs: Reinforcing Integrity Risk Management “Customer Due Diligence” Requirements Reworked; Integrity Due Diligence – Towards an Integrated Approach to Compliance (I); and part II). 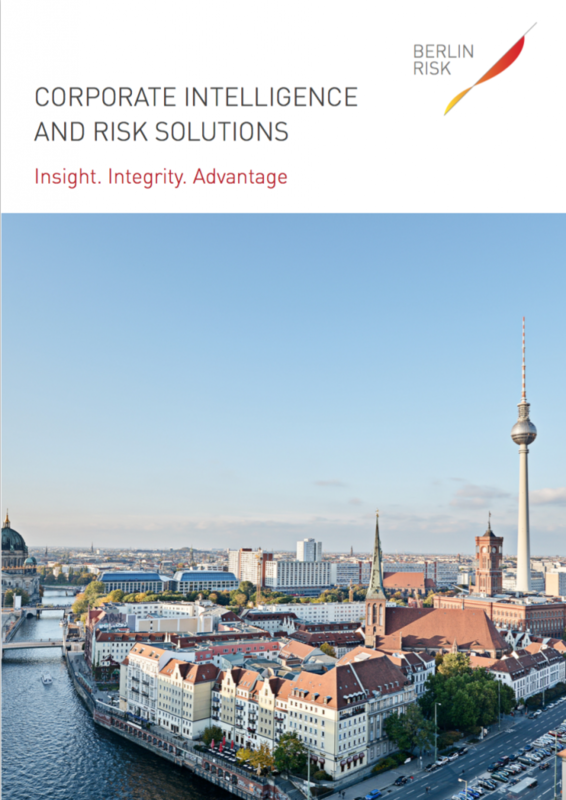 From a strategic viewpoint, proving and protecting a company’s reputation of clean and sustainable business conduct is progressively being acknowledged as a crucial competitive factor. In any case, forward-looking management in sensitive sectors, such as the entire extractive industry, but also the manufacturing industries built on critical natural resources, is well advised to assign a high priority to proactively securing responsible supply chains. The SEC rule for disclosing the use of conflict minerals, which include tantalum, tin, tungsten and gold (dubbed 3TG), applies to a company if it files reports to the SEC under the Exchange Act and if the minerals are necessary to the functionality or production of a product manufactured or contracted to be manufactured by the company. As mentioned before, the rule also applies to foreign companies, if they are listed on the SEC. Moreover, the rule essentially covers the entire supply chain of such minerals, ie. upstream from the likely artisanal miners, domestic buyers, traders and exporters to the smelter and refinery, and downstream to the manufacturer of alloys, components and devices. In particular, manufacturing companies in the electronic and IT industry, including the production of mobile phones, computers, and digital cameras, and the engineering industry may be affected. According to the rule, all relevant companies using any of the designated minerals must disclose whether the minerals originated from the DRC or the neighboring countries. Disclosing not only implies reporting to the SEC, but literally requires a company to publish a description of the inquiry on its website. The credibility of these descriptions will certainly be reviewed by the general public and by NGOs with outstanding expertise in the field, such as Global Witness (2). If a company knows or believes that the minerals it is using may have originated in the countries listed, conducting due diligence on the source and chain of custody of these minerals is required. The supply chain due diligence exercise must be contained in a Conflict Minerals Report and the procedure needs to be certified by an independent audit. The Conflict Minerals Report including the audit report, is then to be submitted to the SEC (on an annual basis), and must also be published on the company’s website. Three findings are possible during a transition phase, because for a period of two years (four years for smaller companies) a company is entitled to determine the minerals in its products to be either conflict free or not, or conflict undeterminable. In the latter case, an independent audit is not required, but still, as with the determination of not conflict free, the Conflict Minerals Report must describe the products which are not conflict free (or undeterminable), the facilities used to process the minerals (if known), the country of origin of the minerals (if known), the efforts to determine the mine or location of origin. Moreover, if minerals are denoted conflict undeterminable, the Report must also describe the measures taken to mitigate the risk of armed groups benefiting and their efforts to improve due diligence. Given the possibility of public scrutiny, the leeway for calling minerals in a company’s supply chain as being conflict undeterminable may not be very large. The SEC rule is not very explicit regarding the suitable due diligence methodology to be applied, which may contribute to an uncertainty amongst companies as to which standards can realistically be implemented and eventually be certified by an independent auditor in the Conflict Minerals Report. The only reference framework mentioned is the due diligence guidance provided by the Organization for Economic Co-operation and Development (OECD). The OECD Due Diligence Guidance for Responsible Supply Chains of Minerals from Conflict-Affected and High-Risk Areas, in its current version of May 2011, includes a supplement on Tin, Tantalum and Tungsten; a supplement on Gold was published in July 2012. The OECD due diligence guidance is a voluntary scheme and widely respected for its comprehensiveness. Multilateral approaches in the region as well as industry-sponsored initiatives refer to the guidance. Particularly relevant is the International Conference on the Great Lakes Region (ICGLR). In December 2010, eleven countries (basically DRC and neighboring states), based on a formal Pact on Peace, Security, Stability and Development, adopted the ICGLR Regional Initiative against the Illegal Exploitation of Natural Resources (RINR). Following a partnership agreement between the OECD and the ICGLR in 2011, the OECD due diligence guidance is now in the process of being integrated into the Regional Initiative. The ICGLR also set up a partnership with the industry association International Tin Research Institute (ITRI) regarding the implementation of the International Tin Supply Chain Initiative (iTSCi). The initiative aims to assist companies which are active in the upstream supply chain (from mine to the smelter) to conform with the OECD due diligence guidance (3). For downstream companies in the Information and Communication Technology (ICT) the Conflict-Free Smelter (CFS) programme launched by the Global e-Sustainability Initiative (GeSI) and the Electronic Citizenship Coalition (EICC) also refers to the OECD guidance. Due diligence practices and certification schemes will complement each other in providing the use of conflict-free minerals in the future. Certification mechanisms within the ICGLR Regional Initiative are supported by the Partnership Africa Canada (4), and Germany’s Federal Institute for Geosciences and Natural Resources is engaged in piloting Certified Trading Chains (CTC) in national contexts. One can hardly ignore the heterogeneous character of the emerging regulatory regime for minerals from conflict-ridden countries. The measures differ in terms of being voluntary or legally binding, national or multilateral initiatives, regional or industry-based, but also regarding the reach and scope of the underlying due diligence approach. In particular, the universal reach and the wider scope of the United Nations’ approach towards tackling the issue of conflict minerals deserves continuous attention. The UN Security Council, in its Resolution 1952 (November 2010), adopted rather concise UN Due Diligence Guidelines recommended by the Group of Experts on the DRC (UN document S/2010/596). Most interestingly, the UN Due Diligence Guidelines also target “criminal networks and perpetrators of serious human rights abuses particularly within the national armed forces”. This is a necessary inclusion, since corruption, fraud, money-laundering and all forms of organized crime may be involved in the processing of conflict minerals; moreover, the clause correctly states that there is no reason to believe that state-associated actors could not be connected with criminal activities. Furthermore, the UN framework requires all international companies, ie. including companies not covered by the SEC rule or the OECD guidance, to undertake supply chain due diligence set out in the guidelines. The UN Security Council in its Resolution 1952 even assigned the UN Due Diligence Guidelines immediate legal effect, by deciding that the DRC Sanctions Committee should consider whether an individual or entity has met the respective due diligence requirements when designating sanctions for supporting illegal armed groups in the eastern part of the DRC through the illicit trade of natural resources (para. 9). In sum, it is necessary to review the international and regional regulatory regime for conflict minerals with respect to three fundamental risks, which might reduce both the efficiency and effectiveness of implementing supply chain due diligence. The first risk comes with excessive detail. Some companies who strive to meet the requirements may begin to feel that they will not be able to comply with the strict rules and instructions, and may cease to do business in the relevant area altogether, which would also have a negative impact on legal local mineral trades (5). The level of detail of any regulation should therefore be balanced with the feasibility of its implementation. Secondly, the first to find gaps in detailed regulations might be potential perpetrators who specialize in circumventing rules after all. They read a detailed regulation as a guidance to the loopholes which always exist. A good dose of regulatory uncertainty to keep potential perpetrators guessing should be combined with rigorous enforcement of the basic provisions. Finally, no matter how detailed a legal rule or methodological guidance is, relevant criteria may still not be covered, as indicated above. Of course, these kinds of omissions can significantly impair the effectiveness of assessing the circumstances, which would be particularly unwelcome for “due diligence” procedures to be employed. The second part of the article will discuss due diligence as a business-related research and assessment method more generally and, against this backdrop, critically review the endeavors introduced to establish supply chain due diligence in the area of conflict minerals and beyond. 1. For a excellent review of the issues surrounding the SEC rule on conflict minerals, including the risk of unintended economic and social consequences in the DRC and other countries, see Louise Arimatsu and Hemi Mistry, Conflict Minerals: The Search for a Normative Framework, International Law Programme Paper, (IL PP 2012/01), Chatham House, September 2012. 2. See Global Witness report Coming clean: How supply chain controls can stop Congo’s minerals trade fuelling conflict (30 May 2012). 3. The iTSCi includes tin as well as tantalum and tungsten. 4. See the report Taming the Resource Curse: Implementing the ICGLR Certification Mechanism for Conflict-prone Minerals, by Shawn Blore and Ian Smillie (Partnership Africa Canada, March 2011). 5. This concern is quite present, see Arimatsu/Mistry (1). The SEC rule was adopted by three to two votes, with the dissenters suggesting that the local economic and social consequences might be adverse.